"When I was diagnosed, I got the opportunity to discover what truly makes me happy," she says. "Being onstage and performing and teaching and expressing my love of dance and just being able to be present was the answer." After nine years away from the studio, she's once again taken to performing, appearing in Winnipeg's outdoor Rainbow Stage for five different musicals, choreographing for Royal Manitoba Theatre Centre, among other organizations, and teaching musical theater classes at a local dance school. RWB invited the pair to perform as Lady and Lord Capulet in the company's upcoming production of Romeo & Juliet, after Wreford and Ramsay (who also went on to perform on Broadway, and is now a reality TV star on Bravo) visited their old stomping grounds last summer. 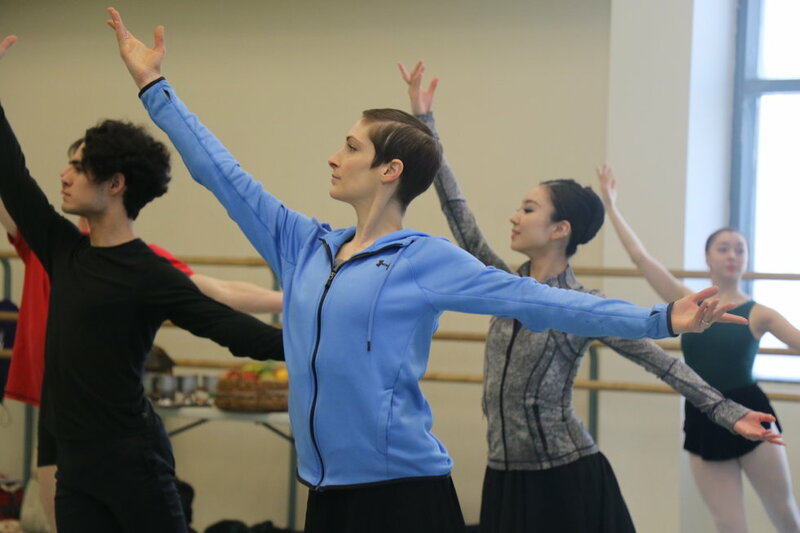 "Not only is dance good for her soul, but it's good for her survival," says Ramsay of watching the rehearsal process. "I believe dance has been an outlet that has allowed her to keep going and stay with us." Case in point: This June will mark six years since her diagnosis, the upper limit of her doctors' original predictions for life expectancy. Yet she's still going strong. Although Wreford is wearing character shoes rather than pointe shoes, her and Ramsay's roles are far more involved than mere supernumeraries. "There's much more dancing than we expected," says Wreford, with a wry laugh. Even after years away from the barre, both say the classical ballet steps are still ingrained in their bodies. "Once a dancer, always a dancer," adds Ramsay. While some in the ballet community have wondered whether this casting is merely a publicity stunt, other well-wishers have made heartfelt videos for the pair, with the hashtag #merdecraigandcath. For her part, Wreford remains grateful for the chance to show her two kids the power of determination. "I want to inspire them, and I want them to know that just because I have brain cancer, it is not going to stop me."